When you're in the market for a new car, it's important to do your research. If caught between driving a new Nissan Sentra or a new Toyota Corolla, we're here to help. 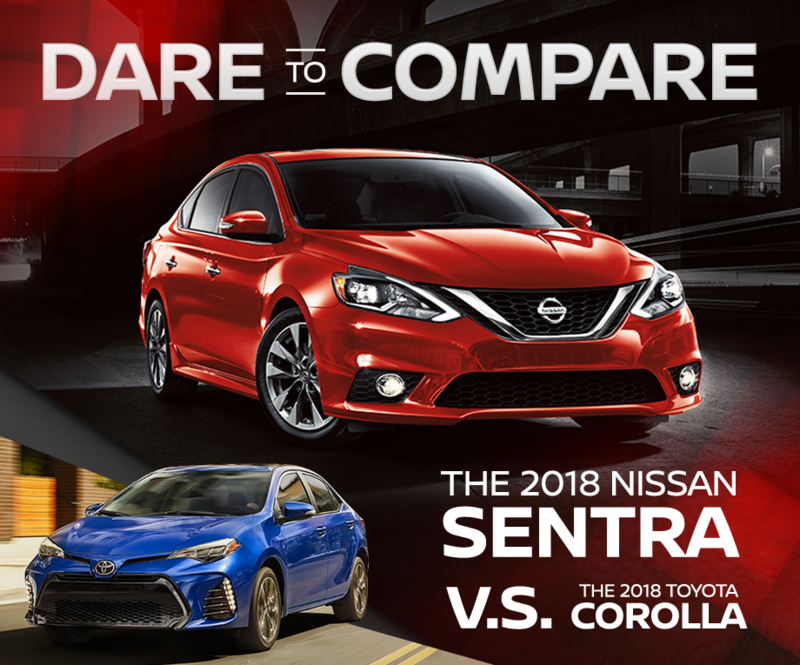 Explore everything the 2018 Nissan Sentra has to offer and discover what makes this sedan a better option than the Toyota Corolla! When it comes to affordability, the 2018 Nissan Sentra has a starting MSRP that's at least $1,500 less than the 2017 Corolla. When you drive the new 2018 Nissan Sentra, you'll be able to take advantage of a driving experience that's comfortable, fun and efficient. The Sentra's newest version of its Xtronic CVT® transmission offers a traditional transmission feel that's fun to drive. Plus, it helps to boost fuel economy, giving you your most fuel efficient ride yet. Take advantage of up to 27 miles per gallon throughout the city streets of Flagstaff, and up to 35 MPG on the highways of Arizona. The 2018 Nissan Sentra offers a host of intelligent features that are designed to make your drive easier. Plus, the 2018 Sentra offers six standard air bags, a tire pressure monitoring system and a rearview monitor. Explore additional safety features available with the new Sentra when you visit Flagstaff Nissan today. If you're looking for an intelligent vehicle that's affordable, loaded with features, and fun to drive, look no further than the 2018 Nissan Sentra. So why pay nearly $2,000 more for the Toyota Corolla? Explore our available inventory online now, or fill out the form to schedule your test-drive today!